Diaries of Martyrs in the China of Mao. Four direct testimonies of the persecutions in the 1950’s and ’60’s, collected in a book for the first time. 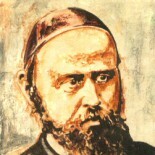 With the account of Masses and communions celebrated and lived even in the prohibitive conditions of prison (by Sandro Magister, http://chiesa.espresso.repubblica.it). The pope did not say that Sheshan is also the place where the bishop of the economic capital of China, Thaddeus Ma Daqin, has been held under house arrest for almost three years, having been deprived of his liberty immediately after his episcopal ordination on July 7, 2012, for the sole offense of having resigned that same day from the Patriotic Catholic Association, the organism of communist party control over the Church, and therefore precisely for having wanted to be in full communion, as bishop, with the successor of Peter. But he who has ears to hear, let him hear. Separating the Chinese bishops, clergy, and Catholics from Rome in order to subjugate them to the regime and ultimately to annihilate them is an objective that dates back to the time of Mao Zedong and has never been abandoned since then. 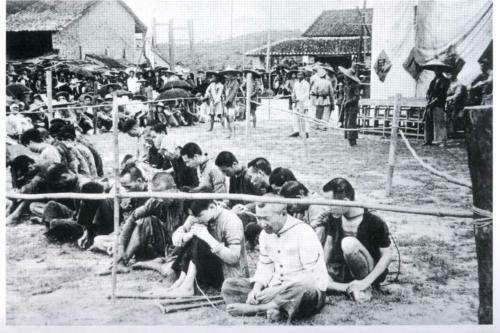 China is one of the places in the world where the Catholic Church has been subjected to the longest-standing uninterrupted martyrdom. And yet too little is known about this martyrdom. That goes for the relatively blander forms of recent years. And that goes for its peaks of extreme cruelty, in the 1950’s and ’60’s. China has not had its Aleksandr Solzhenitsyn, nor any account of the inferno of the “laogai,” its camps of forced labor and extermination, of a grandiosity comparable to the “Gulag Archipelago.” But a few days ago a volume came out in bookstores in Italy that lifts the veil precisely on the darkest years of the persecution: “In catene per Cristo. 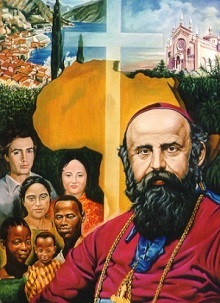 Diari di martiri nella Cina di Mao”, a cura di Gerolamo Fazzini, prefazione di Bernardo Cervellera, Editrice Missionaria Italiana, Bologna, 2015, pp. 416, euro 20.00. The book collects the diaries of four victims of persecution in the early years of the communist revolution. Diaries that had become almost impossible to find but have now been recovered and published for the first time in their entirety, for the general public. – Leo Chan, four and a half years in prison, one of the first Chinese priests who fled abroad to tell the truth about China, when the West of the 1960’s was swooning over Mao’s “Little Red Book” as a symbol of freedom and emancipation. The section of the book reproduced below does not describe the brutality of the trials, nor the atrocity of the tortures, nor the diabolical cruelty of the “reeducation.” It is instead the account of how the Eucharistic liturgy was celebrated and lived even in the prohibitive conditions of prison, in this case by a bishop and by humble members of the faithful, all of them young women plus a girl of just 4, so strong in their faith in the sacrament that is the source and summit of the Church as to “move mountains” and make the unthinkable real. A lesson that is of extraordinary relevance today, at a time when Eucharistic communion often deteriorates into a banal metaphor of utterly earthly solidarity and sharing. It was 1951. In that jail connected to the police station, where Christians prayed, suffered, and immolated themselves day after day for the triumph of the faith, I had the consolation of reliving scenes from the catacombs. I had in the first place the comfort of being able to celebrate Holy Mass clandestinely. In my cell I was given a stool, and I thought: that will be my altar. I had a bowl for drinking the boiled water that was given to us twice a day, and I said: this will be my chalice. At the time I was under accusation and trial of a political nature, and the communist officials, afraid that I might get sick or die in jail and that they would be deprived of the joy of seeing me executed by firing squad, allowed a catechist of the diocese to bring me wheat bread, and I was delighted: a piece of this bread would be my host. What was still missing for the celebration of the Mass? The wine was missing. By a stratagem I was also able to get the wine. In China there is no grape wine or vinegar, because both are made from grain. I asked the jailer for a bottle of wine vinegar for medicinal purposes because – I said – a bit of vinegar taken on an empty stomach would give me strength. The jailer put out a request for the wine vinegar; my fellow missionaries understood and sent a little bottle of sacramental wine. The bottle was examined by the judges, who declared the contents to be vinegar. And in this way I was able to get wine four times. Dressed as an inmate, without vestments, without altar cloth or candles, standing or sitting on the floor in front of that stool, I offered on a piece of paper or in the palm of my hand a little piece of bread, I offered in that cup a bit of wine and continued the Mass, from the preface to communion. I was also able to get the Mass of the Virgin and the canon printed on a few sheets of paper in which the missionaries had wrapped the bread, and many times I was able to celebrate the holy sacrifice from beginning to end. Unfortunately, one day a guard who was searching my cell found those papers and tore them up, without understanding what was written on them. I celebrated fifty-nine times, always escaping the attention of the guards, who repeatedly came into my cell while I was celebrating but never realized that I was performing the most sacred act that there is; I was in full compliance with police rules. The Mass celebrated under those conditions, in a jail where the communist persecutors were raging in their satanic struggle to crush the Christians, that Mass, I say, had a reflection of heaven. Eight young women who had shown themselves heroic in defense of the faith were imprisoned and held in the cell next to mine. Among these was the mother of a four-year-old girl named Siao Mei, “Little Beauty.” Those heroic women wanted to communicate with me. How to do it? They thought of the girl. They asked the jailer for permission, just for the girl, to leave the cell for a few hours a day in order to get a bit of fresh air. The cell where the eight young women and Siao Mei were being held had become a shrine: in it daily suffering was sanctified and the consecrated host was repeatedly able to enter furtively. Not being on trial but only under interrogations that had the aim of extorting charges against us, the young women were allowed to receive food from their relatives, through the jailers. My fellow missionaries thought about how to get them the Eucharist, the comfort and strength of our earthly pilgrimage. Loaves of bread in China are small, made in conical form and cooked in water vapor, all crumb and no crust; by making an incision in them one can easily hide something small and thin inside. The missionaries hid some consecrated hosts in these loaves; the loaves were then brought to the jail by the relatives of the young women and delivered to the jailers, who brought them to the cell. The heroic detainees broke open the loaves and found the consecrated hosts, then took communion with their own hands. The most joyful days were certainly those in which Jesus came to that cell to sanctify it and give them new strength. In that gloomy jail we held a number of feasts: they were days of tender religious commemorations, of hope in the victory of the Church, of joy in offering one’s sufferings to Jesus. Such were the days of the Ascension, Pentecost, Corpus Domini, of the first Friday and Saturday of the month and other Sundays. Jesus descended into my cell and turned into his most precious body and blood a little piece of bread and a few drops of wine placed in a bowl, while in the other cell Jesus was able to sneak inside thanks even to the hands of people who hated him, to find friendly and faithful hearts. Every time those witnesses of the faith received the Eucharistic they left one host in a loaf and, seated there on the wicker mats, they did adoration all day in silence. It was forbidden to pray out loud in jail, but from those hearts the prayer went up warm and buoyant into heaven. How many times have I thought: that grimy cell which concealed the King of kings was more precious than our churches, too often deserted. In an impassioned and complete dedication, those women manifested their love for Jesus, their fidelity: to die but not to bend to an atheist government, to die but not apostatize. In the evening, the one who had not received communion that morning consumed the last host. Adoration ceased, the shadows of night fell, new tears and sobs could be heard, but the fervor of our hearts grew and the intention to immolate ourselves like Jesus kept growing. One day the Christians languishing in the cell next to mine conceived a gesture worthy of their sisters of the early centuries of the Church. In the third wing of the jail their friend Josephine Ly had been relegated to a dark and humid cell because of her faith and courage. The women thought: we have to send her the Eucharist. Dear Siao Mei, you had understood that if a sacrilegious hand were to try to profane the sacred host, you, although you were immature, could receive Jesus, but could not give the host to a communist jailer, an enemy of God and a pagan. The guard shouted at her and wanted to throw the girl out of the courtyard, but Siao Mei deliberately started crying and sobbing. The guard, afraid of being accused of beating the girl, quickly opened the cell of Josephine Ly and let the little angel inside. And the innocent Siao Mei gave Josephine the precious handkerchief… There was silent recollection for a while in the cell, then more weeping, and the door was opened again. So with her weeping and a few other tricks, Siao Mei was able to bring communion four times to her fictitious aunt. While in that gloomy jail criminal sentences were passed against innocents or against followers of Christ, while scenes of terror and horror were renewed, we lived scenes of piety and love, scenes of the first centuries of the Church. Questa voce è stata pubblicata il 18/07/2015 da MJ in Church and religion, ENGLISH con tag China, Gaetano Pollio, Mao Zedong, Martyrs, Persecution of Christians.